The initial objectives for a coaching engagement are based on goals that are established in the first coaching session. Many of our clients include this as part of the diversity, equity and inclusion engagement. In every coaching session, we measure progress against engagement goals, roadmap, and action accountabilities from the previous session. In addition, we typically work with leaders in core areas of leadership including: change management, leadership presence, skills for leading effective teams, communication, conflict resolution, diversity & inclusion, engaging associates and the like. The coaching engagement typically includes two one-hour calls or meetings per month, as well as email check-ins and occasional phone check-ins as necessary. The first step to professional development and growth is to know and understand your personality strengths and weaknesses, your communication style, your preferred style of decision-making, your time management habits, and your problem-solving skills. Strategic HR Advisors offers various assessments to our clients. Contact us for more information about selecting the assessment that matches your needs. The DiSC profile, published by Wiley, is a non-judgmental tool used for discussion of people's behavioral differences. If you participate in a DiSC program, you'll be asked to complete a series of questions that produce a detailed report about your personality and behavior. You'll also receive tips related to working with people of other styles. Note: Information here applies only to Everything DiSC and DiSC Classic assessments. It's likely that other tests using the name DISC have not been researched and validated to the depth of Wiley's DiSC products. 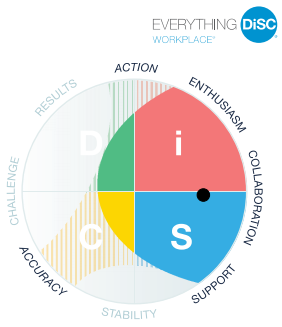 The DiSC® model provides a common language that people can use to better understand themselves and to adapt their behaviors with others — within a work team, a sales relationship, a leadership position, or other relationships. Strategic HR Advisors is a Hogan Assessments distributor. We are experienced in the interpretation and feedback delivery of assessment data for individuals and teams. We help organizations with the process of setting up and implementing an assessment program. Click this link of sample reports to view what’s included in the Leadership Forecast Series bundle, the Hogan reports most often used for leadership development. StrengthsFinder identifies what you naturally do best. It provides customized results that name your unique talents. It shows you how you’re special and how to succeed by turning your talents into strengths. We coach leaders and teams on how to effectively leverage their strengths.